The man was finishing up a massive paper for his internship today, and because I am the APA goddess in our house I was helping. Well, so was Luna. And by helping, I mean laying on his assignment sheet and making love to the style guide. 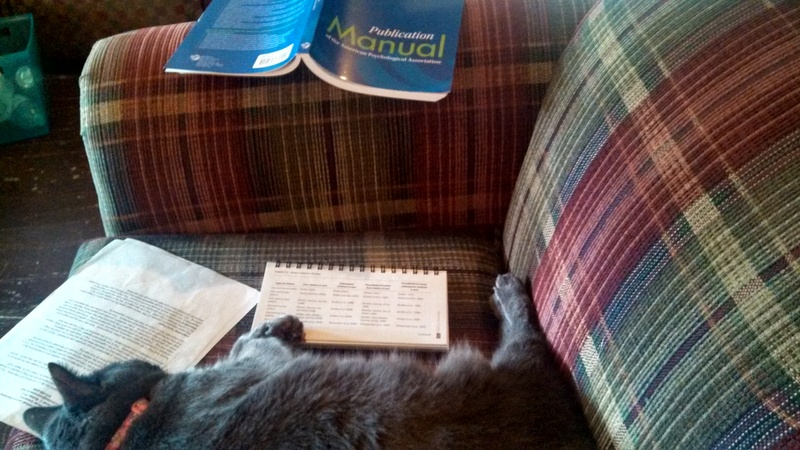 Who said that cats weren’t academically inclined? She looks like half the freshmen I knew when I was in college.